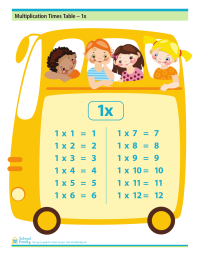 Use this printable times table with answers to help reinforce multiplication from 1-12. Printable sheets for practicing single- and double-digit multiplication. 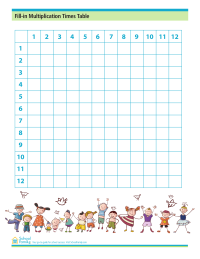 Use this fill-in sheet to practice single- and double-digit multiplication skills.